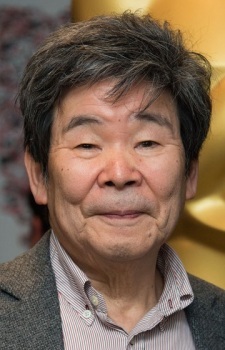 Isao Takahata is one of the most famous directors of anime, or Japanese animated films. Born in Ujiyamada (now Ise), Mie prefecture, Japan, he is a long-term colleague of Hayao Miyazaki and co-head at Studio Ghibli. His five animated films at Studio Ghibli have spanned a remarkable range of genres: war-film (Hotaru no Haka), romantic drama (Omoide Poroporo), comedy (Tonari no Yamada-kun), ecological adventure (Heisei Tanuki Gassen Ponpoko), and historical fantasy (Kaguya-hime no Monogatari). Of these, Hotaru no Haka, in particular, is widely considered one of the greatest animated films ever made. Sometimes Japan makes movies with real people. Sometimes they're not even based on a manga! Sometimes they're even *GASP* masterpieces of world cinema! There's a wide world of live-action Japanese film out there to explore. These seven masterpieces should get you started. Slowly becoming my favorite director. Handsome legend. Aca en España siempre recordaremos el anime Haha o Tazunete Sanzenri y Arupusu no Shōjo Haiji. your contributions to the medium will never be forgotten. Is it true that he indirectly caused the death of Yoshifumi by making him overwork himself?